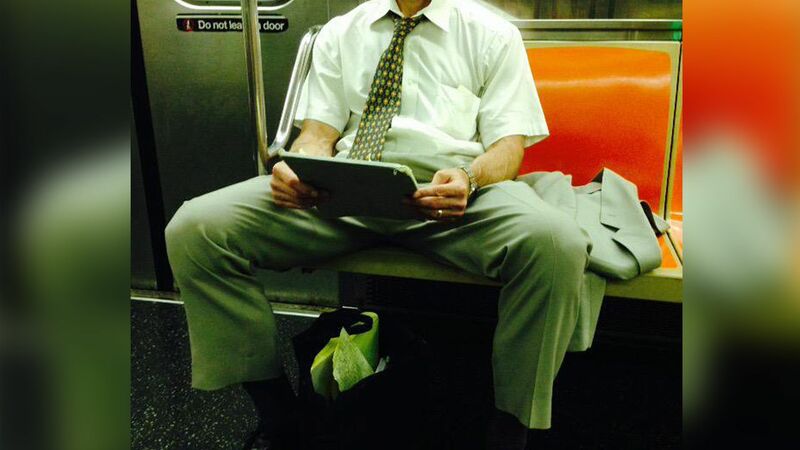 NEW YORK -- Even if you don't want to believe it, people who "manspread" are considered more attractive than those who don't, a study found. Social science researchers at several universities, including the University of California Berkeley, Stanford and Northwestern, published the results of their study this week. They looked at human behavior when people displayed their bodies "expansively" versus in a contractive state. The researchers looked at the behavior in two different settings - a speed-dating event and a dating app. In the speed-dating event, which examined 144 different dates, researchers looked at specific nonverbal behaviors associated with liking, loving and dominance. When people were manspreading, their chances of getting a "yes" response from a speed-dating partner nearly doubled. The researchers looked at 3,000 location-based dating app interactions, finding that mate-seekers were "significantly more likely" to select partners who were manspreading. "In a dating world in which success sometimes is determined by a split-second decision rendered after a brief interaction or exposure to a static photograph, single persons have very little time to make a good impression," the researchers wrote. "Our research suggests that a nonverbal dominance display increases a person's chances of being selected as a potential mate." So despite the dirty looks you (and others) give people who manspread on the subway, they're apparently more likely than you to get a date.